Figure 1: USS Pueblo (AGER-2) off San Diego, California, 19 October 1967. Official U.S. Navy Photograph. Click on photograph for larger image. Figure 2: USS Pueblo off San Diego, California, 19 October 1967. Official U.S. Navy Photograph. Click on photograph for larger image. Figure 3: The “Pueblo Incident,” 1968. Photograph of USS Pueblo crewmembers at a press conference in North Korea, taken sometime after they and their ship were captured off Wonsan on 23 January 1968. Pueblo's Commanding Officer, Commander Lloyd M. Bucher, is standing in center. U.S. Naval Historical Center Photograph. Click on photograph for larger image. Figure 4: “Repatriation of USS Pueblo Crew, December 1968.” Rear Admiral Edwin M. Rosenberg, Commander Task Force 76 (center), and Commander Lloyd M. Bucher, Commanding Officer of USS Pueblo (AGER-2), enter an automobile as they leave the mess hall at the United Nations Advance Camp, Korean Demilitarized Zone, on 23 December 1968. Cdr. Bucher and his crew had just been released from captivity by the North Korean government. They had been captured off Wonsan on 23 January 1968. Official U.S. Navy Photograph. Click on photograph for larger image. Figure 5: Commander Lloyd M. Bucher, USN, former Commanding Officer of USS Pueblo (AGER-2), receives the Purple Heart medal for injuries he received while he was a prisoner of the North Koreans, in ceremonies held in 1969, shortly after he and his crew were released. U.S. Naval Historical Center Photograph. Click on photograph for larger image. Named after a city in Colorado, the USS Pueblo was originally named FP-344 and was built as a cargo ship for the Army Transportation Corps. She was built by the Kewaunee Shipbuilding and Engineering Corp., Kewaunee, Wisconsin, and was turned over to the Army on 5 July 1944. The FP-344 served in the Philippines as an Army harbor craft and supply vessel and remained with the US Army until 1954, when she was taken out of service and placed in reserve. The ship was then transferred to the US Navy as a light cargo ship on 12 April 1966 and was renamed USS Pueblo (AKL-44) on 18 June. The Pueblo was converted into an environmental research vessel at the Puget Sound Naval Shipyard and was redesignated AGER-2 on 2 May 1967. The ship was approximately 176 feet long and 32 feet wide, and had a crew of 81 officers and men. Its top speed, though, was only 12 knots. The Pueblo was officially commissioned on 13 May 1967 with Commander Lloyd M. “Pete” Bucher in command. Commander Bucher was born on 1 September 1927 in Pocatello, Idaho, and was given up for adoption at an early age. He passed through a series of orphanages until he read a magazine article about Father Flanagan’s Boy’s Town in Nebraska. Bucher wrote to Father Flanagan and was stunned when the priest wrote back to him. Bucher officially entered Boys Town in the summer of 1941 and for the rest of his life he considered this to be his home. Bucher thrived at Boys Town, making the honor role and spending the bulk of his time playing football, basketball, and baseball. He dropped out of his senior year in high school to enlist in the Navy, staying in the Navy as an enlisted man from 1945 to 1947. While in the Navy, he earned his high school diploma and then entered the University of Nebraska on the GI Bill in 1949. While attending the university, he joined the Naval ROTC and graduated with a BS degree in 1953. He was then commissioned as an Ensign into the Naval Reserves. From 1954 to 1967, Bucher gradually rose through the ranks and spent most of his time on submarines. He had planned to spend his entire career in the submarine service, but instead was given command of the Pueblo. Following a shakedown cruise off America’s West Coast, the Pueblo left San Diego on 6 November 1967 for Pearl Harbor and then Yokosuka, Japan. After arriving in Japan on 1 December, the Pueblo was assigned to intelligence and oceanographic data collection duties. As an intelligence gathering ship (also known during the Cold War as a “spy” ship), she was to conduct surveillance operations of Soviet naval activity in the Tsushima Straits and to gather signal and electronic intelligence from North Korea. On 11 January 1968, the Pueblo left Japan and proceeded to the waters off North Korea. On 21 January 1968, an SO-I class Soviet-style sub chaser passed within two miles of the Pueblo. The next day two North Korean fishing trawlers passed within 25 yards of the US vessel. Then on 23 January 1968, while still steaming in international waters, the Pueblo was approached by a North Korean sub chaser and was ordered to stop or be fired on. Commander Bucher refused the request and the Pueblo, which could only make a pathetic 12 knots, tried to move away from the sub chaser. Three North Korean torpedo boats soon joined the sub chaser and, within minutes, two MIG-21 jet fighters arrived as well. The Pueblo was surrounded. Since the Pueblo was only armed with two .50 caliber machine guns (both of which were frozen solid underneath tarpaulins due to the bitterly cold weather), Commander Bucher didn’t have anything to fight back with. Commander Bucher sent urgent radio transmissions asking for assistance to Seventh Fleet Headquarters in Japan and to any US Navy warships in the area. The North Korean ships continued to signal to the Pueblo to heave to for boarding. Commander Bucher still refused to stop, hoping to stall for time until US warships or aircraft could be sent to rescue his ship. Suddenly, the North Korean warships began firing on the Pueblo. The small American cargo ship was hit repeatedly by 55 mm cannon fire from the sub chaser and machine gun fire from some of the other ships. 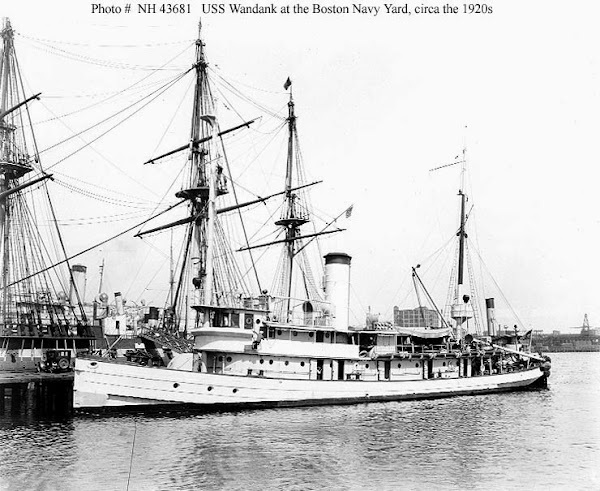 Several men on board the Pueblo (including Commander Bucher) were wounded by gunfire. Commander Bucher had a terrible decision to make. Because his ship was essentially unarmed, he basically had only two choices. The first option was to continue resisting and refuse to heave to, in which case the North Koreans would probably sink his ship. They were steaming in the extremely frigid waters off North Korea and Bucher knew his men would quickly die of exposure if his ship went down and they were forced into the sea. The second option was to surrender. A US Navy ship had not been captured on the high seas since the War of 1812 and this fact weighed heavily on Commander Bucher’s mind. The North Koreans kept firing at the Pueblo and one of the sailors, Fireman Apprentice Duane Hodges, was killed. Commander Bucher could see his ship literally being blown to pieces and still there was no word of any help coming from the Seventh Fleet. Commander Bucher made the decision to save his crew. He signaled that the Pueblo would stop and he gave orders to begin destroying all sensitive material on board the ship. Unfortunately, there were so many secret documents on board the ship that it was impossible to dispose of it all. Shortly after the Pueblo signaled that it would stop, two North Korean warships pulled alongside the American ship. Boarding parties quickly swarmed on and the Americans had their hands tied, were blindfolded, beaten, and prodded with bayonets. The Pueblo was then taken to Wonsan harbor. For the next 11 months the Pueblo’s crew was forced to endure starvation, regular beatings, and severe torture at the hands of their North Korean captors. The North Koreans wanted Commander Bucher to sign a “confession,” stating that his ship was spying on North Korea within North Korean territorial waters. When Commander Bucher refused, he was beaten mercilessly. But, after the North Koreans threatened to execute his men in front of him, he decided to sign. Many pictures were taken for propaganda purposes of Bucher signing the “confession” and after the North Koreans obtained this admission they entered into negotiations with America for the release of the crew. Bucher and 81 of his fellow crewmen (which included the body of Duane Hodges) were finally released on 23 December 1968, 11 months to the day after their capture. Commander Bucher was never found guilty of any charges and he continued his career in the Navy until his retirement in 1973. He was never given another command at sea but was awarded the Purple Heart for wounds received during what became known as “The Pueblo Incident.” The US Government also awarded each man a Prisoner of War Medal in 1989 (for many years the US Navy considered the men “detainees” rather than Prisoners of War since the United States and North Korea were not at war at the time of the incident). Commander Bucher died on 28 January 2004, partly because of the injuries he sustained while being held by North Korea. Commander Bucher will probably always be remembered for his decision to save his crew rather than go down with his ship. Although the US Navy didn’t agree with him, there were 80 crewmen who owed their lives to Commander Bucher. We now know that President Lyndon Johnson made no effort to avenge the seizure of the Pueblo because he did not want to risk starting a major war with North Korea. As for the ship itself, the USS Pueblo is currently moored in Pyongyang, North Korea, and serves as a floating museum and tourist attraction in that Communist nation. She remains to this day a commissioned ship in the United States Navy. The Pueblo certainly proved that a ship does not have to be big or even heavily armed to make history.